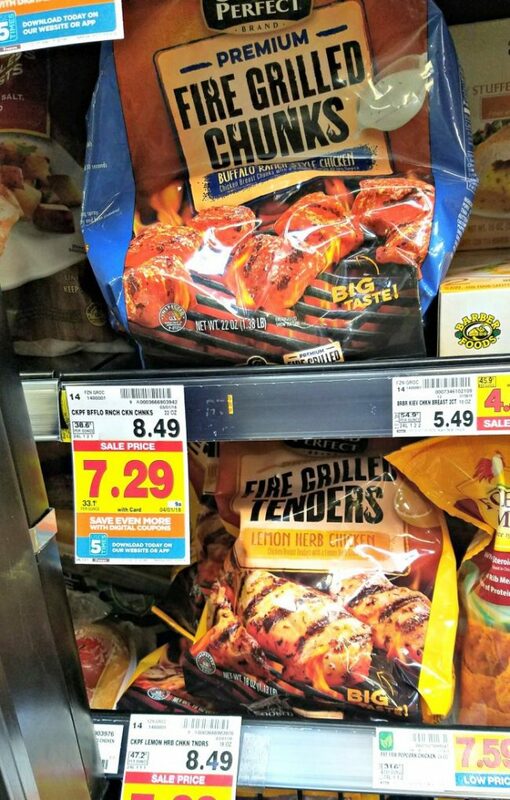 This is a sponsored post written by me on behalf of Cooked Perfect® Fire Grilled Chicken. All opinions are 100% mine. In our house, St. Patrick’s Day is a big day. Not only is it fun to wear around festive green things, but it’s also my oldest kid’s birthday. So it’s always double fun for us. It can also get quite hectic and busy. So as much as I love going all out and celebrating a holiday and a birthday, I sometimes need to simplify a little, but not at the cost of celebrating and having a good time. So that’s when I plan a super simple, yet still festive meal. 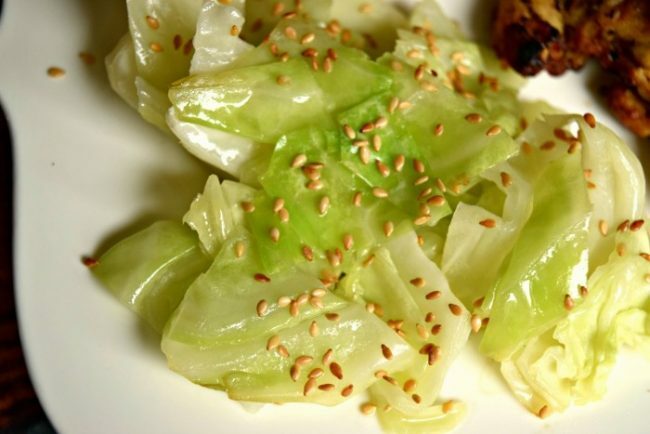 One of my favorite side dishes to make is this super simple Sesame Cabbage. It’s extremely easy, with only 3 ingredients and takes almost no time to cook. When paired with chicken it’s about the easiest meal you can make! Start this easy meal with Cooked Perfect® Fire Grilled Chicken. 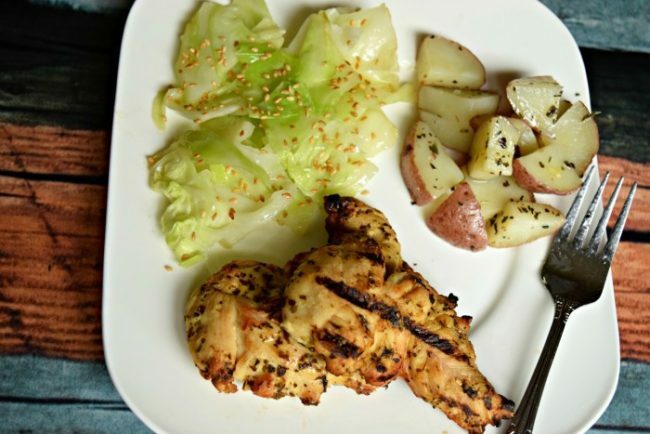 Cooked Perfect Fire Grilled Chicken is a great main dish to this easy side because its fast, simple and packed full of flavor. They come in a variety of flavors and are already cooked, so they can be heated and served in no time. 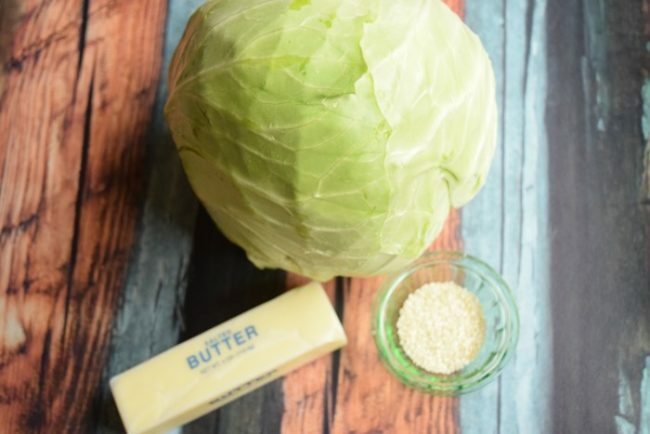 The only three things you need to make this super simple Sesame Cabbage are: a head of cabbage, some butter and sesame seeds. 1. Wash your head of cabbage and chop it into chunks. 2. Put a tablespoon of butter into a pot with the heat on medium and melt it. 3. 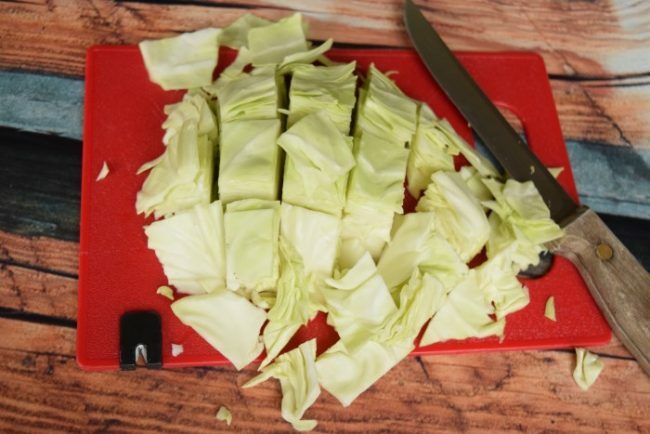 Place the cut cabbage into the pot and stir it around a little to coat with butter. Place a lid over the pot to steam the cabbage, stirring every so often so it doesn’t burn. 4. 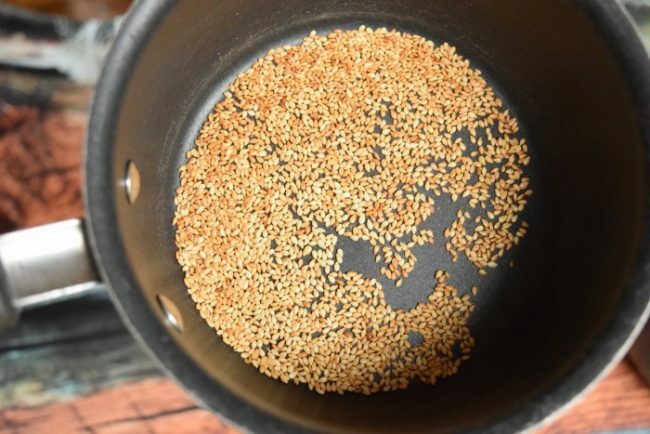 While the cabbage is cooking, get out a small pan and put the sesame seeds in it over medium heat. Be sure to keep the seeds moving as they cook because they will burn quickly. You want to cook them until they are a light golden brown. 5. When the cabbage is cooked and tender it will start to turn transparent. 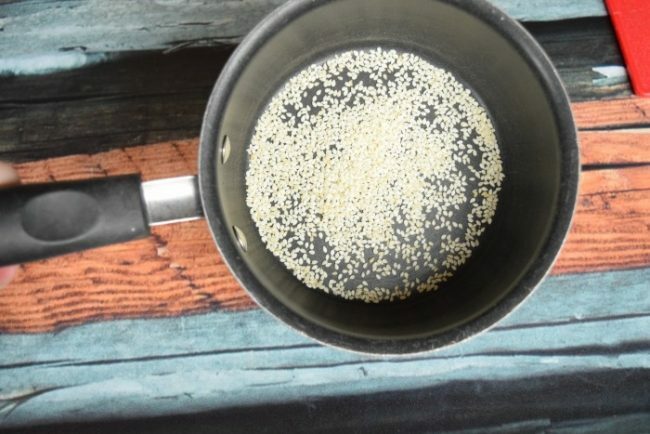 Remove it from the heat and sprinkle the sesame seeds in. 6. Serve and enjoy! 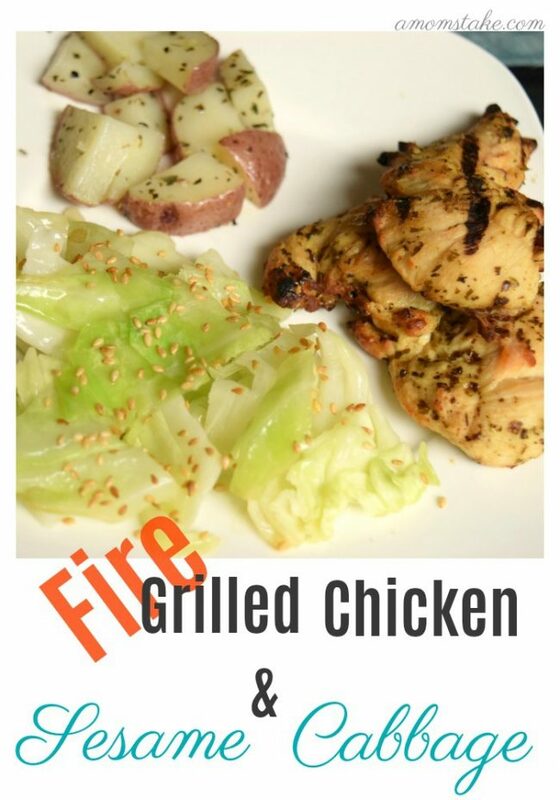 With this simple Sesame Seed Cabbage and Fire Grilled Chicken, you can have a great dinner on the table in no time. A fast easy dinner that the whole family will love, means you get to spend more time on the things you want to do. Things like celebrating the holiday with your family. So grab some Fire Grilled Chicken and cabbage and spend less time in the kitchen. What is your favorite easy St. Patrick’s Day dinner? I love Grilled Chicken and this dish is looking tempting. Thanks for sharing recipe.